Have you been looking for a powerful large work truck with plenty of modern features? The new Chevy Silverado 2500 provides an abundance of both, with Edmunds calling it “immensely capable.” Upgrade to the 2017 Chevy Silverado 2500 LT truck to get an 8-inch Chevy MyLink touchscreen with smartphone app integration, as well as an EZ-Lift and Lower tailgate, a rearview camera, HD Radio, and much more. You’ll have the option of three different powertrains, including a turbo-diesel 6.6L V8 that makes a best-inc-lass 445 hp and 910 lb-ft of torque. Want to see if it’s right for you? Contact Chevrolet of Naperville and set up a test drive! Chevrolet of Naperville has a full lineup of heavy-duty Chevy Silverado 2500 pickup trucks for sale, including the LT trim and others. 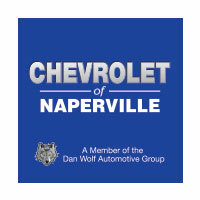 Our dealership is a member of Dan Wolf Automotive Group, serving drivers throughout Chicagoland since 1971. We’ll work with you to find low APR financing, and our service department will be there to help you out with all your Chevy service needs. We’re open for sales Monday through Saturday starting at 9:00 a.m. each day, and we hope you’ll come see us soon!